Lee Storm’s “Caribbean Treasure.” Escape everyday life and sail into the sunset! 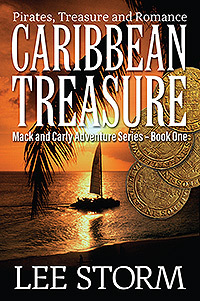 Mack and Carly meet by chance as they both seek adventure in the blue waters of the Caribbean. Their romance and adventure turn to terror when Mack and Carly are pursued by hired guns trying to recover a treasure of gold, diamonds, cash and cocaine. Previous Previous post: April is National Poetry Month… Are You Ready? Next Next post: Back by Popular Demand! Save 20% on Bestselling Publishing Packages!